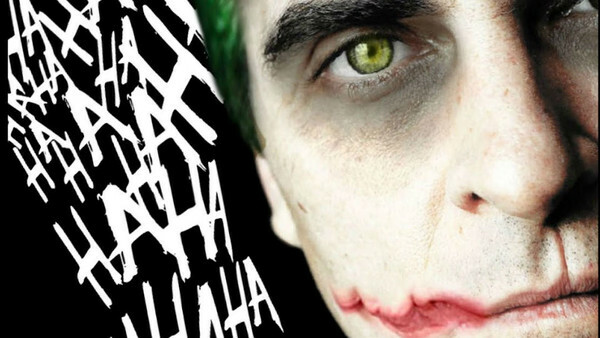 There have been so many rumours and reports that it was easy to forget Joaquin Phoenix-starring Joker origin movie wasn't 100% official, but only now has the movie been confirmed. "[An] exploration of a man disregarded by society [that] is not only a gritty character study, but also a broader cautionary tale." That all-important DC comic book movie buzzword 'gritty' of course gets in there, but the description itself does fit with the previous rumours that it'd be inspired by Martin Scorsese (who is an executive producer on this)'s The King of Comedy, and there are rumours Robert De Niro might have a supporting role. Todd Phillips (The Hangover) will direct the movie and co-write the script alongside Scott Silver (The Fighter). There's no release date yet, but with a smaller budget and likely a tighter turnaround than most superhero movies, it could be releasing in the back-half of 2019 or early 2020, although DC have plenty of other Joker movies in the works too. Are you excited for the Joker origin movie? Let us know down in the comments.